Trying to give your bathroom a quick facelift or a complete remodel? 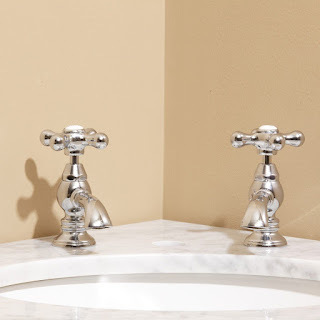 Choosing the right bathroom faucet can make or break the look. New accessories, floor mats and a fresh coat of paint will go unseen if the faucet is old and tarnished. There are a few important style and finish factors to take into consideration before purchasing a faucet. Coordinate - Bathtub and sink faucets are often available in sets. Matching faucets pull the bathroom together, giving it a seamless look. Here's a helpful guide to help you find the perfect faucet for your bathroom sink. Basin taps are the perfect match for a pedestal sink. Widespread faucets match console sinks, as well as one of the latest trends, vessel sinks. Single post faucets work best with wall mounted bathroom sinks. From an antique rustic pewter to a contemporary brushed-chrome, the finish options for faucets are endless. 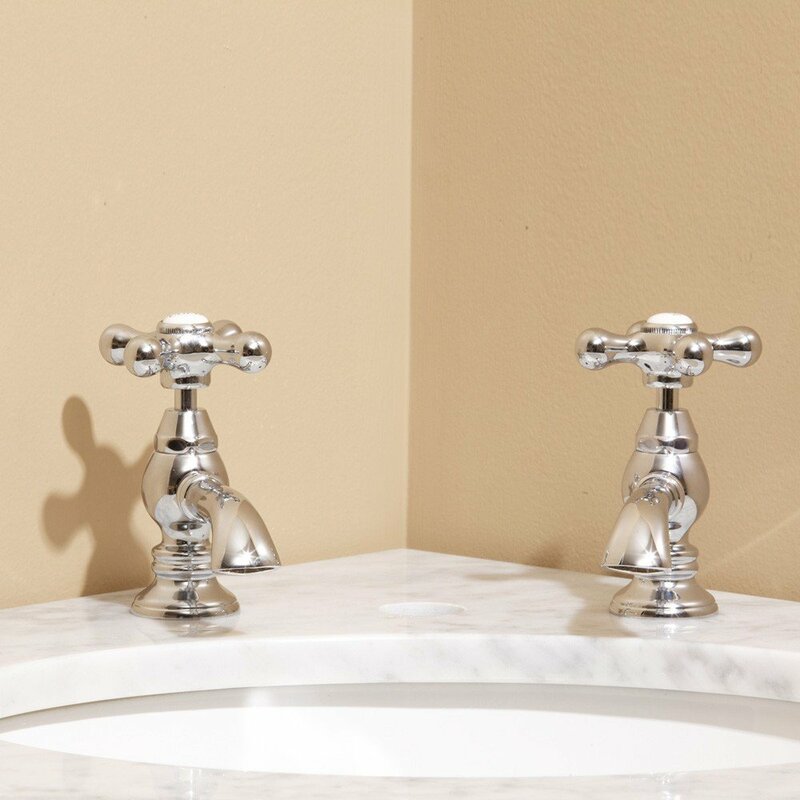 Here are some tips to help you choose the best finish for your faucet. White faucets are popular in the kitchen and a children's bathroom, as they hide water spots and fingerprints better than chrome and brass. Any bronze (oil rubbed, brushed, rustic, etc.) and polished brass finish will bring a warm, vintage feel to the bathroom. Looking for a touch of class without the clash? A combination chrome-and-brass finish on a lever-handle gooseneck faucet gives a chic look while adding the flexibility for accessories in either finish. Bridge faucets in a satin-nickel finish make the most elegant statement, but be sure this compliments the remainder bathroom. Choosing the right style and finish for your faucet never looked so good!